Happy Friday everyone, I for one am so glad the weekend is close lol no plans for the weekend, well unless you call taking new pictures for my blog plans oh and finally finishing decorating my new place, it’s funny how long it’s taken considering I set up scenes for my pictures on a daily basis, harder I guess when it’s more personnal. 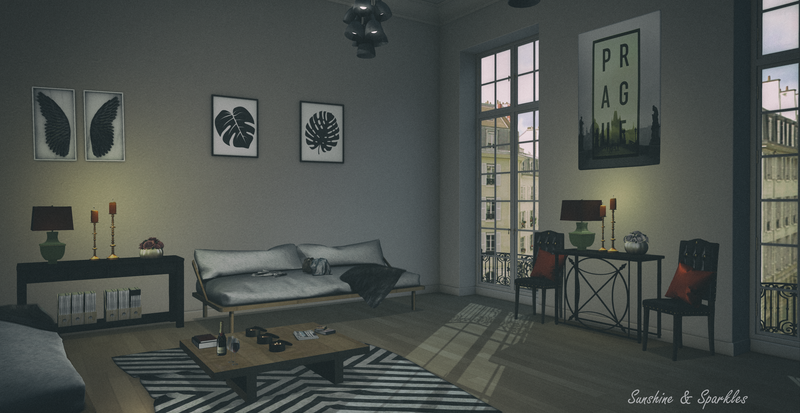 Anyway onto todays goodies, it’s a share of gorgeous things by both Petite Maison and Sayo, both have a feel of being classy and elegant to me, credits and links are below. The Petite Maison is from Cosmopolitan which ends very soon so best be quick.